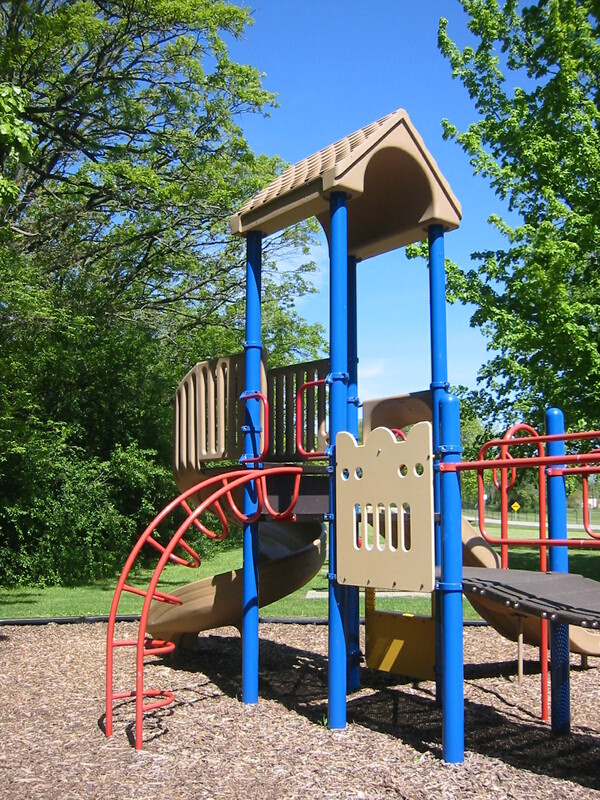 This week, Cee is inviting us to play Chutes and Ladders for her Fun Foto Challenge. I always knew the game as Snakes and Ladders back home in the UK (it was the first board game to which I was introduced, as a child) and snakes would probably have been easier to find in the photo files but I did eventually manage to locate a couple of chutes to go along with the ladders. Chutes and ladders at the Anderson Japanese Gardens in Rockford, Illinois. 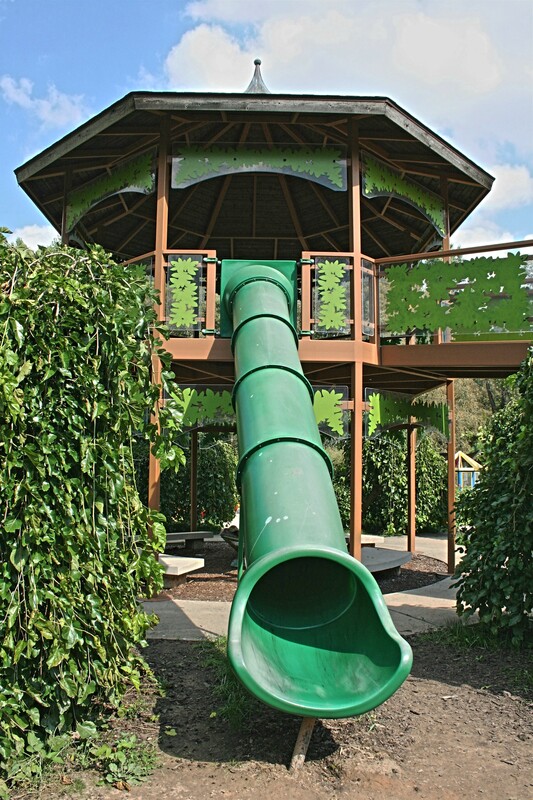 Chutes and ladders in a couple of children’s play areas in Wisconsin, the second being at the Green Bay Botanical Garden. This one is rather like a puzzle. 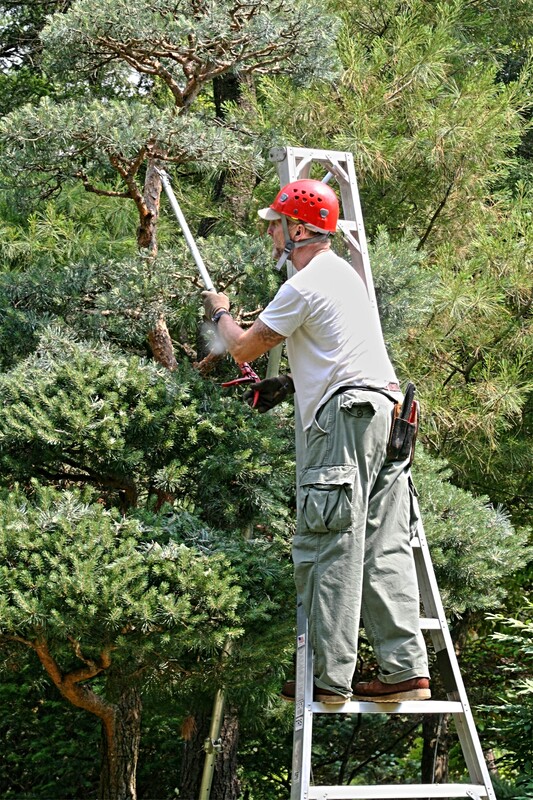 Can you spot the ladder? 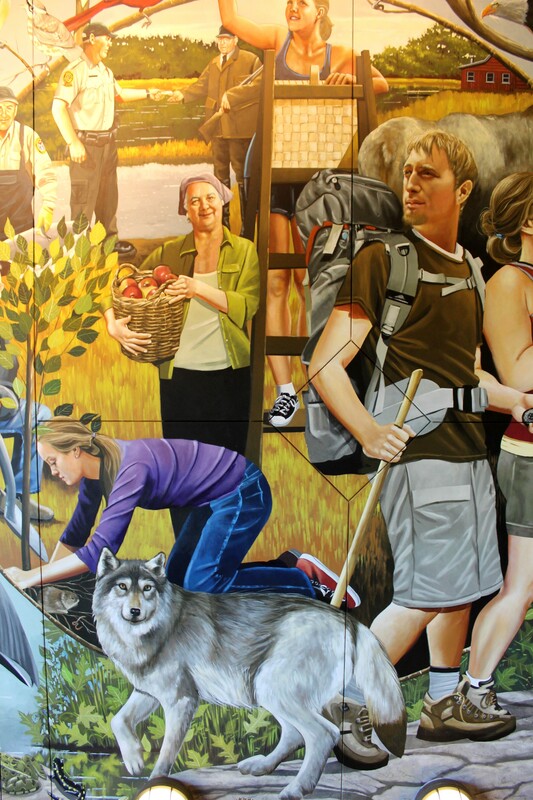 Part of a mural at the Northern Great Lakes Visitor Center in Ashland, Wisconsin. 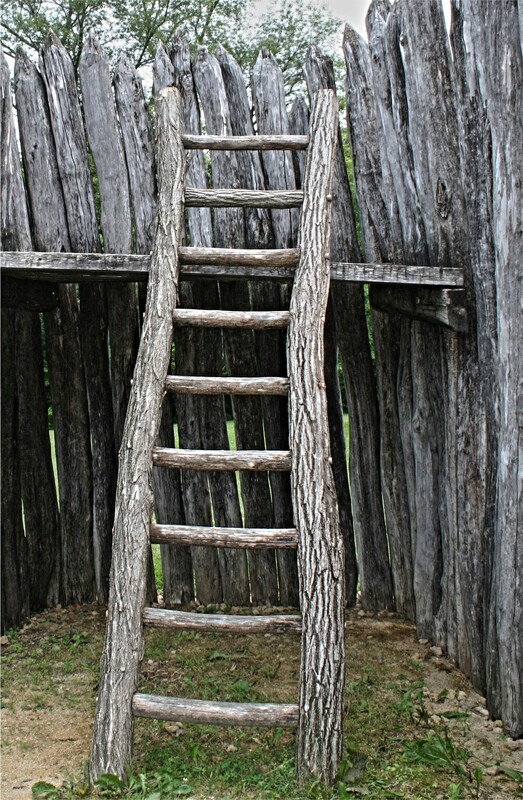 A rough but sturdy ladder at the Apple River Fort in Elizabeth, Illinois. You may be wondering what the last picture has to do with chutes or ladders. 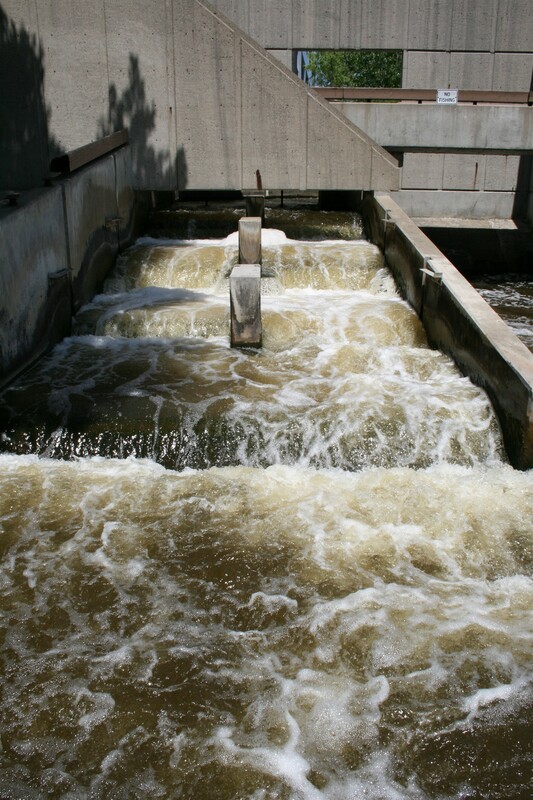 I would be rather baffled too if I hadn’t learned, while on a trip to Grand Rapids, Michigan, that this is what is known as a fish ladder. The ladder, which is really a series of shallow steps, enables fish to get around dams, locks or waterfalls during their migration. I love orange! It’s such a vibrant color! Wherever I go I’m always on the lookout for bright colors and I had no problem finding images that I hope will adequately represent Orange, in response to Ailsa’s Travel Theme challenge on Where’s My Backpack? at http://wheresmybackpack.com/2014/08/22/travel-theme-orange/. 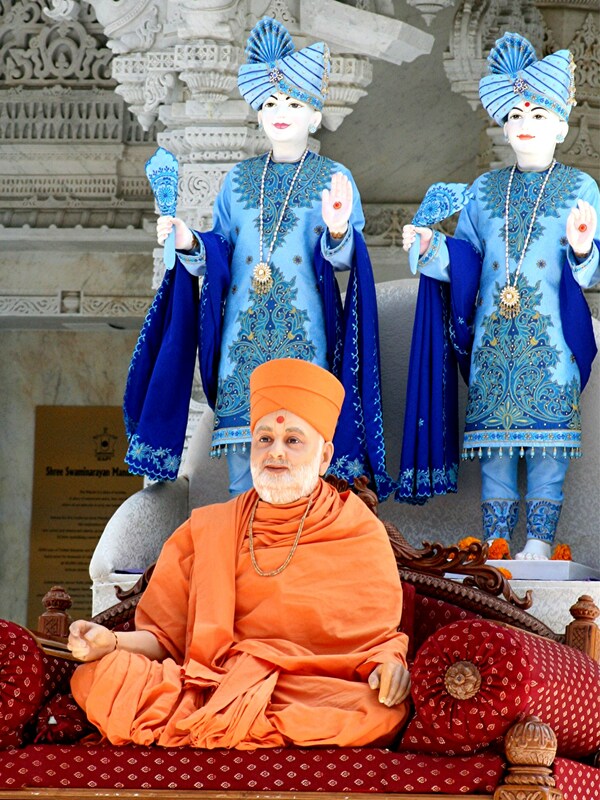 Somehow, purely by chance, I nearly always seem to show up at the BAPS Shri Swaminarayan Mandir in Bartlett, Illinois during a special event. At the end of July when we visited, there appeared to be some kind of Youth Conference in progress. People at the Mandir are always very friendly and willing to explain what is happening and we were told that the participants were from all across the country. From what I understood, these young people were there to learn about the Hindu faith and its place in the world today. We arrived just as they were taking group photos outside the temple and out of respect we stayed well back, so we had rather limited access but I managed to capture a few images once everyone had dispersed. The figures in the above image were ceremoniously placed on the steps of the Mandir and the colors really stood out against the white stonework of the temple. 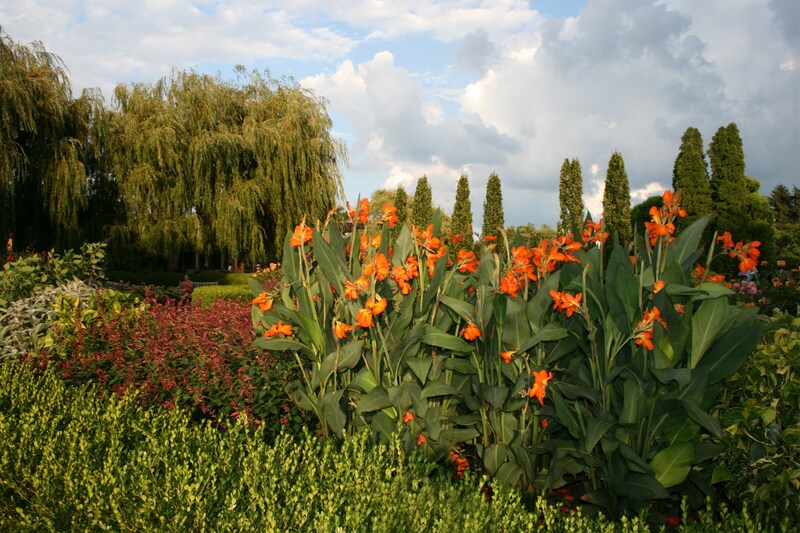 Orange canna lilies are just tall enough to catch the setting sun on the Esplanade at the Chicago Botanic Garden. 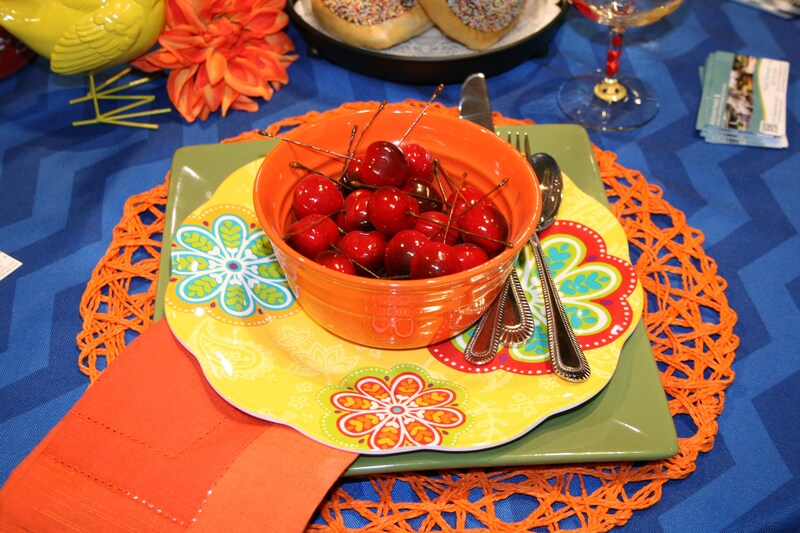 An orange place setting caught everyone’s eye at the Chicago Flower and Garden Show at Navy Pier in Chicago earlier this year. 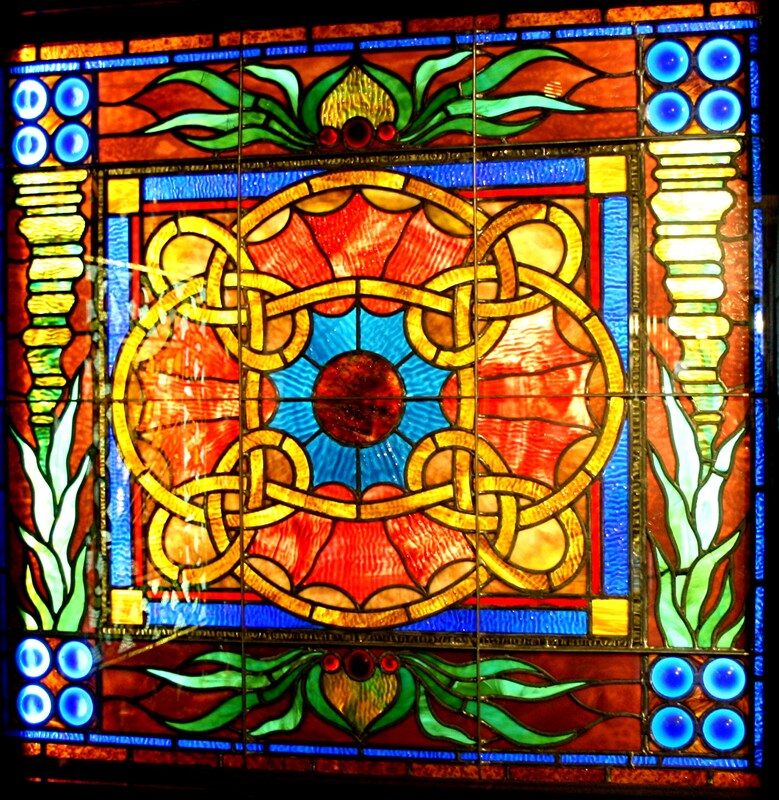 One of the stained glass windows on display at the Smith Museum of Stained Glass Windows at Navy Pier in Chicago. 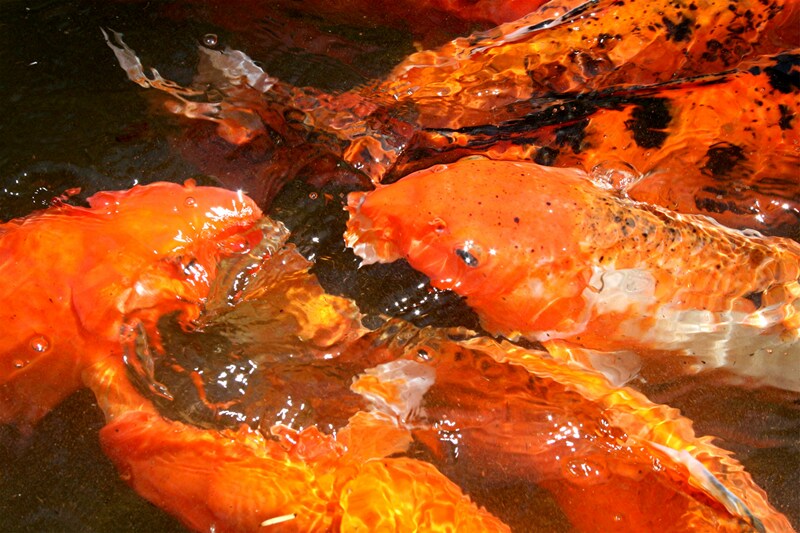 A flash of orange as ornamental koi splash around in the pool at the Anderson Japanese Gardens in Rockford, Illinois. Recovering from a bout of vertigo and now getting used to wearing progressive lenses all the time, one way and another it’s been an interesting couple of months. No wonder things have been looking a bit zigzag lately! 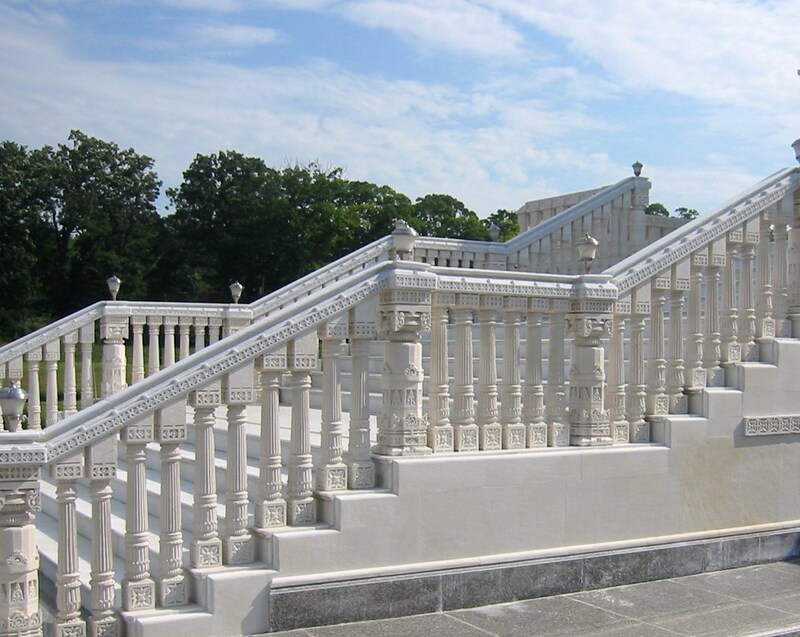 Pictured above; Stairway leading to the BAPS Shri Swaminarayan Mandir in Bartlett, Illinois. 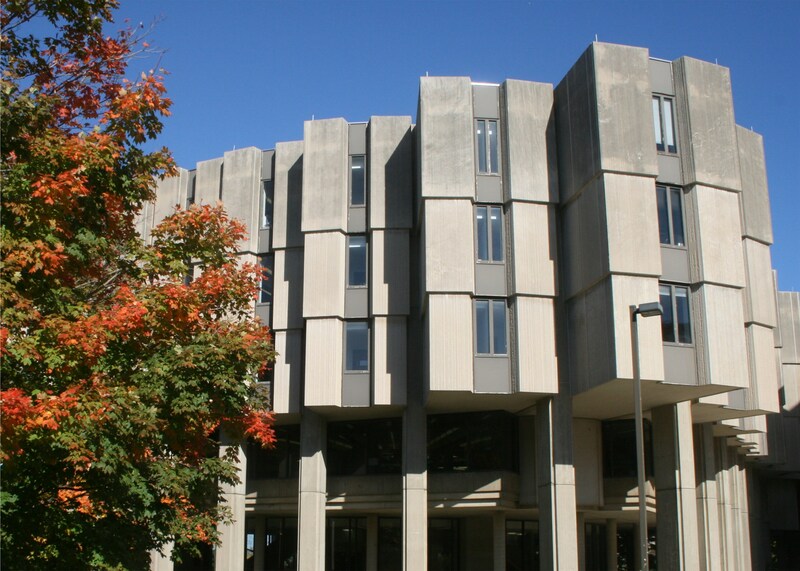 The library at Northwestern University in Evanston, Illinois. 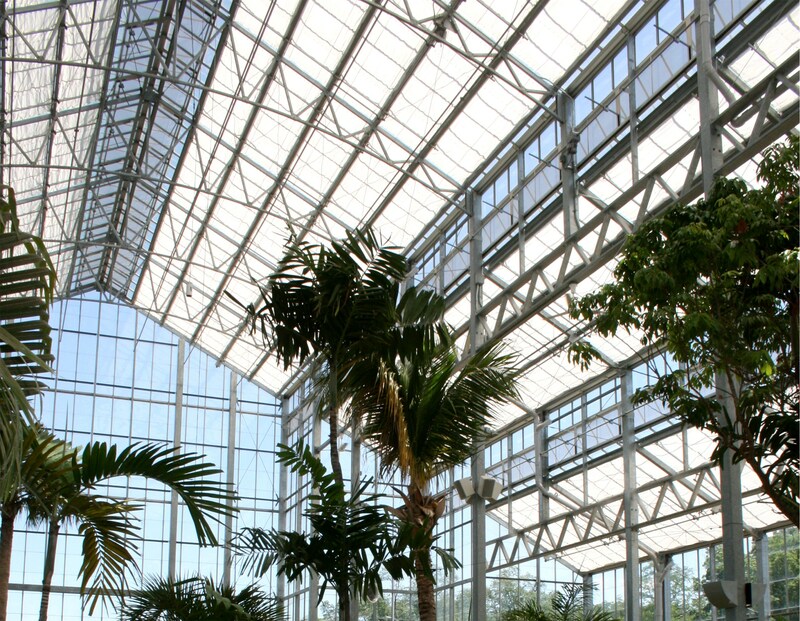 Inside the huge Nicholas Conservatory, part of Sinnissippi Park in Rockford, Illinois. 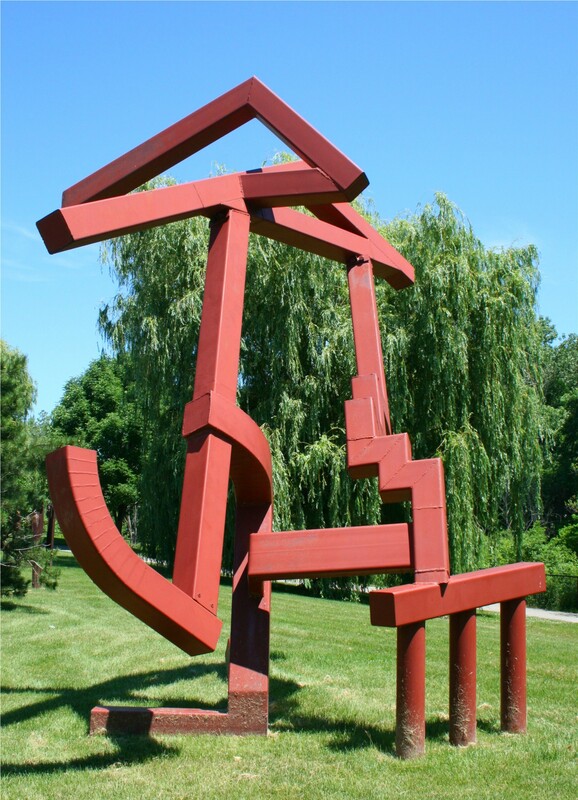 ‘Revival’ by sculptor Joseph Eisenhauer in Skokie Northshore Sculpture Park. 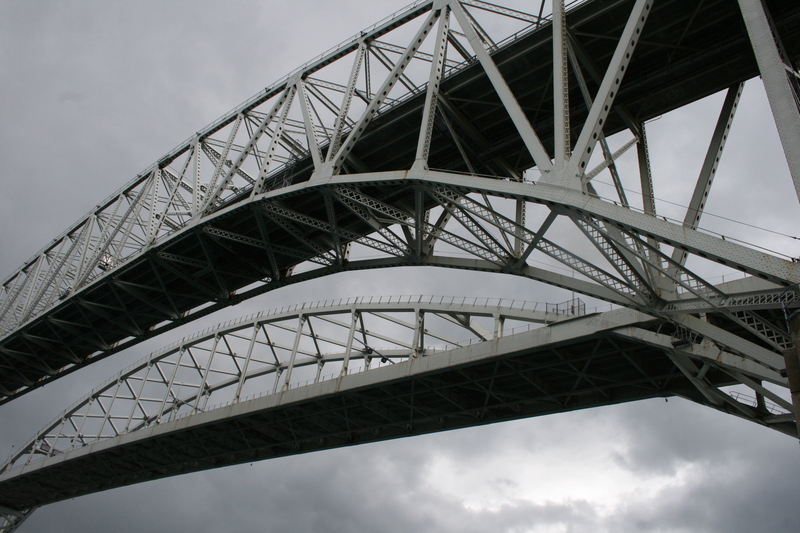 The Bluewater Bridge in Port Huron, Michigan. 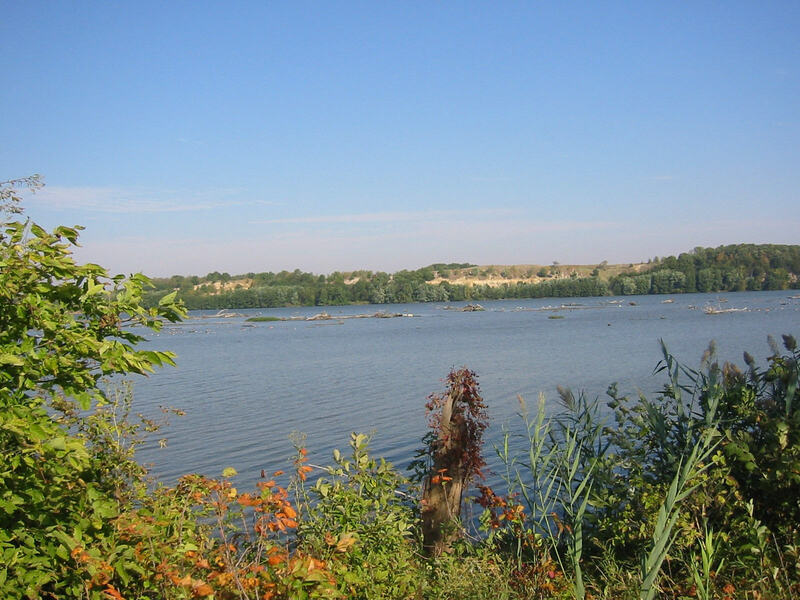 Ailsa’s Travel Theme challenge last week on Where’s My Backpack? at http://wheresmybackpack.com/2014/03/14/travel-theme-gardens-2/ was Gardens. I know I’m a bit late with this one but couldn’t resist posting a few pictures of some of my favorite gardens. I would guess that more than half of the images in my photo files are of flowers and gardens. 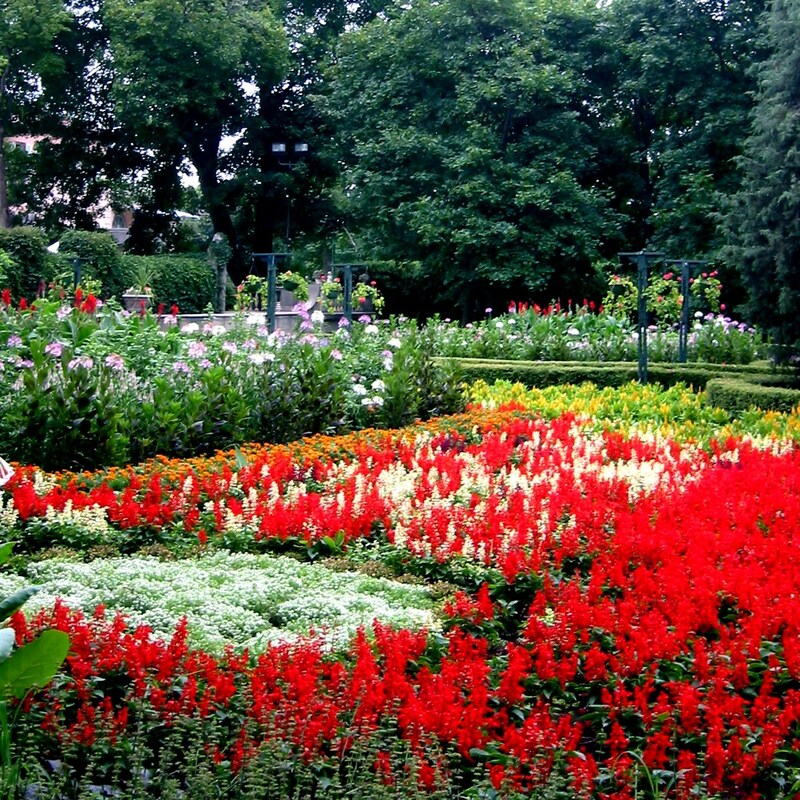 Wherever we travel, the first thing we look for is a public garden or park. 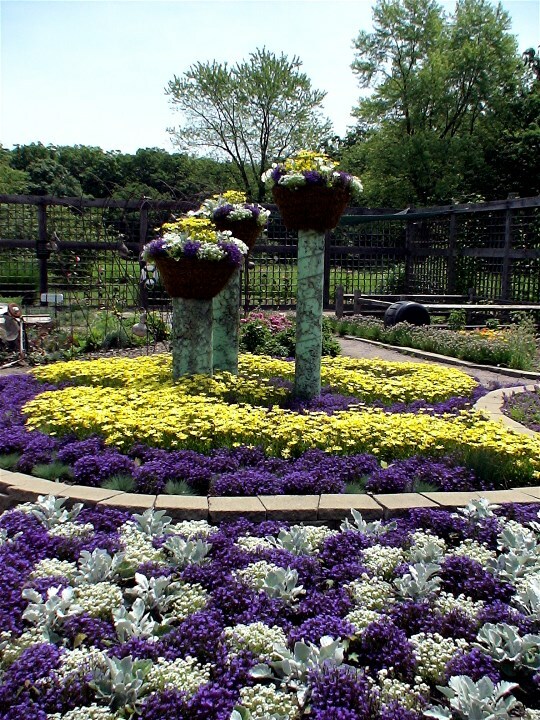 The gardens at Cantigny Park in Winfield, Illinois. 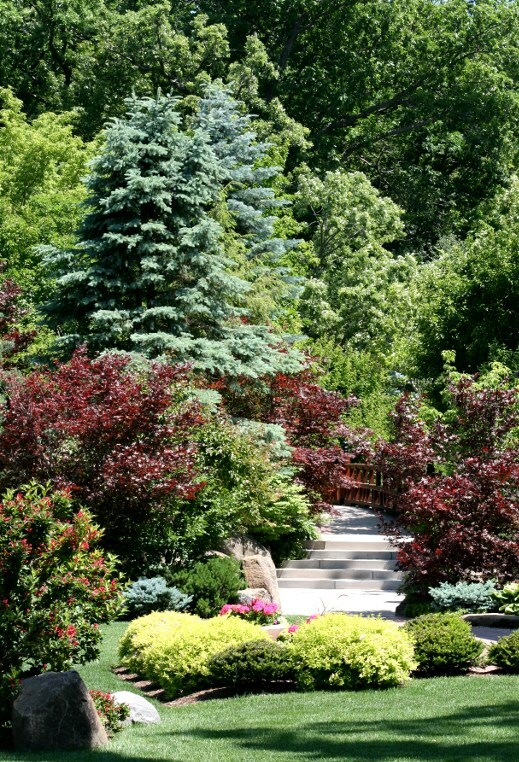 The gardens at the Cuneo Mansion in Vernon Hills, Illinois. 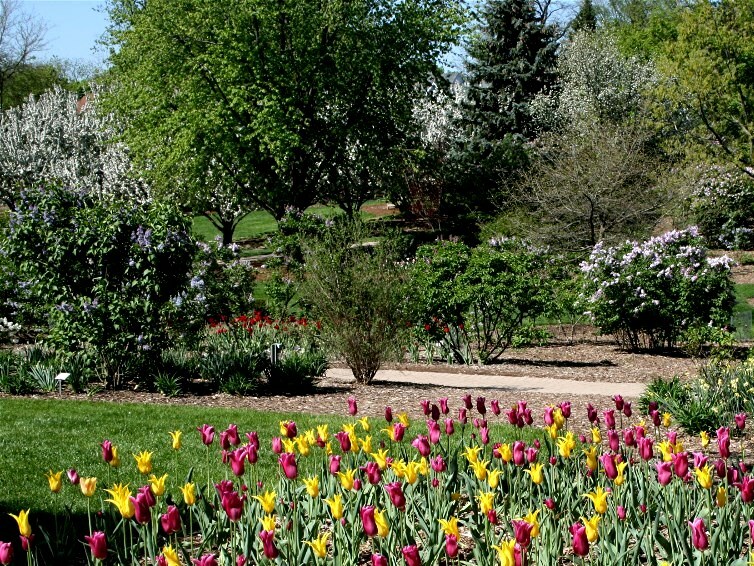 The gardens in Lilacia Park, Lombard, Illinois. 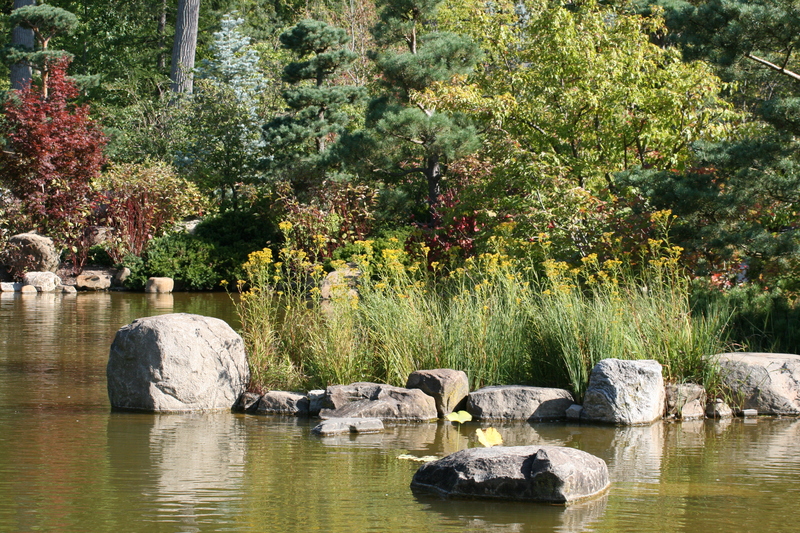 The Anderson Japanese Gardens in Rockford, Illinois. 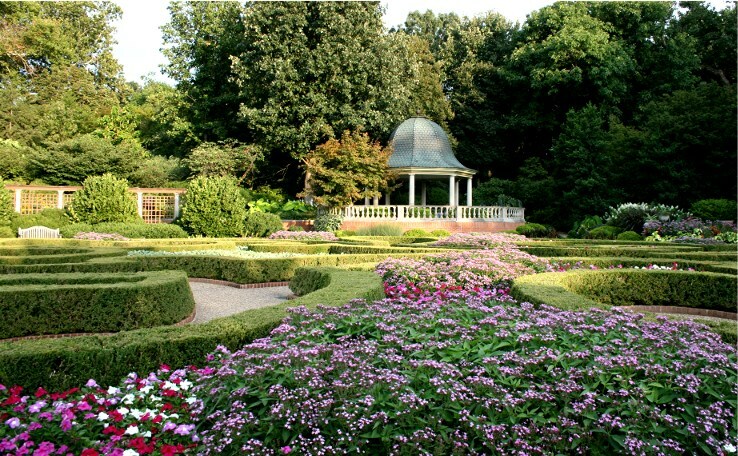 The Missouri Botanical Garden in St Louis. Ailsa’s Travel Theme challenge this week on Where’s My Backpack? at http://wheresmybackpack.com/2013/12/13/travel-theme-still/ is Still. Living just outside the busy hustle and bustle of a big city like Chicago it’s nice every once in a while to get away to a quiet spot where everything is peaceful and still. I’m not saying I’d want to spend my entire life in such tranquil surroundings but a change is as good as a rest, they say, and the occasional visit to such places can be very calming. 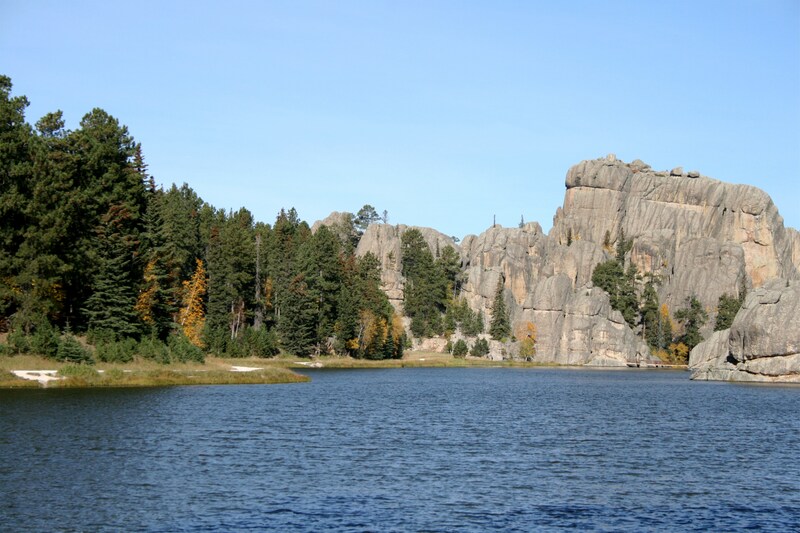 Sylvan Lake in Custer State Park, South Dakota. 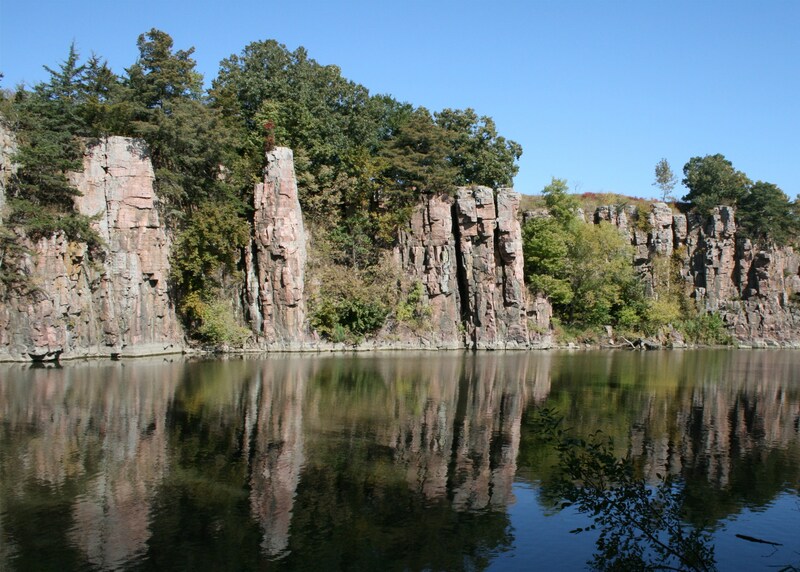 Palisades State Park, South Dakota. A quiet spot along the river. I’m not quite sure where this shot was taken; possibly on the Rock River in Wisconsin on one of our Sunday drives. No need to go all that far afield either. 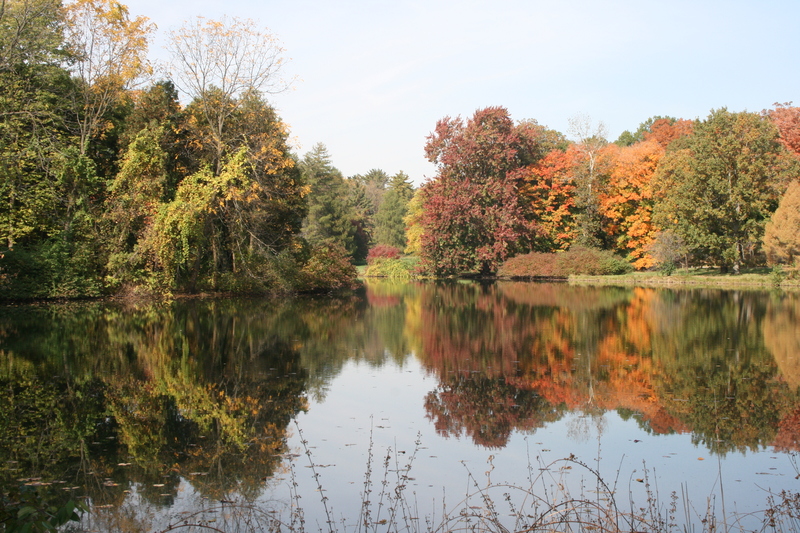 With places like the Morton Arboretum practically on our doorstep, relatively speaking, there’s no reason to travel to distant parts to get away from it all. 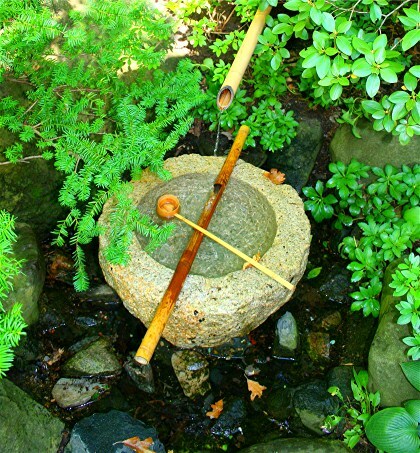 Anderson Japanese Gardens in Rockford, Illinois is another place that springs to mind when I’m looking for somewhere soothing to sit still and think about what I’m going to do when I get back to the hurly-burly of the city. Ailsa’s Travel Theme challenge on Where’s My Backpack? 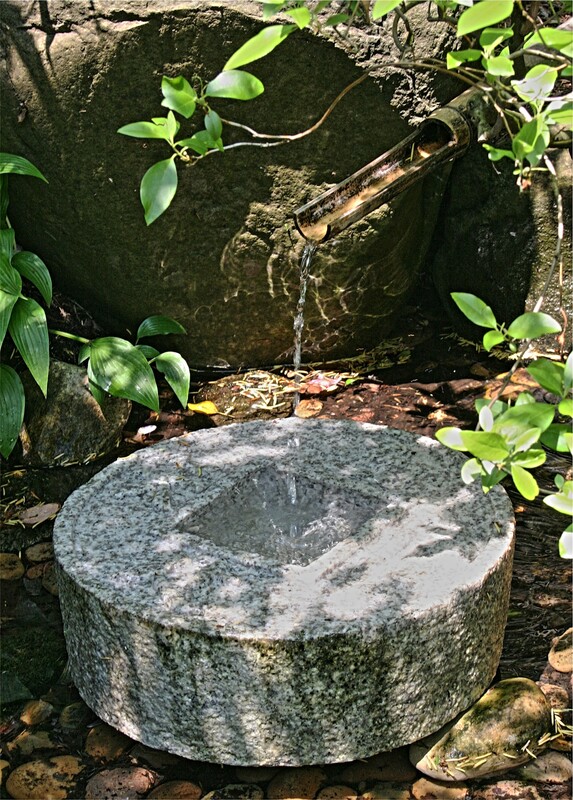 at http://wheresmybackpack.com/2013/10/25/travel-theme-stone/ is Stone. 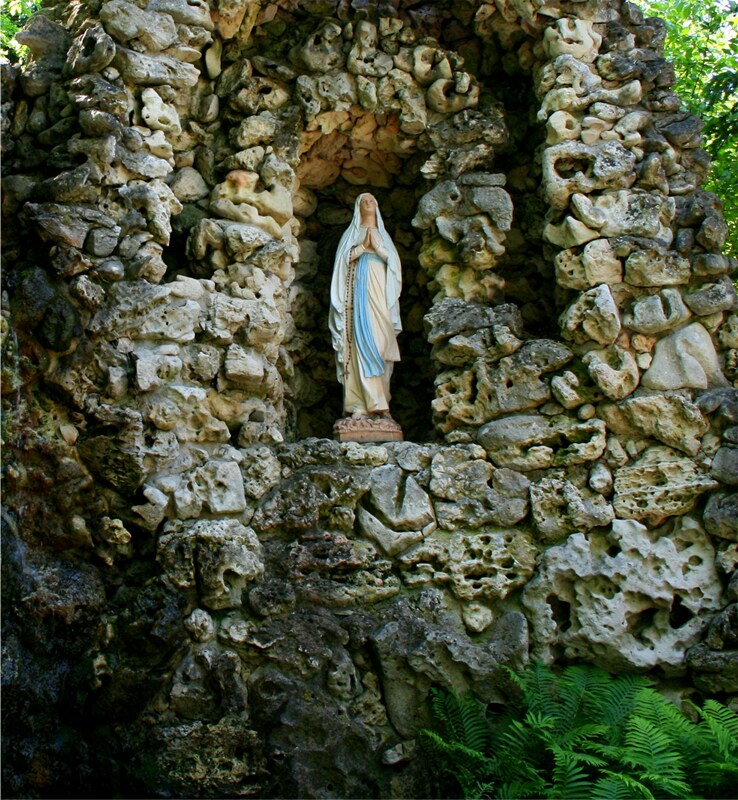 My first choice for this challenge was a shot of the stone grotto at The Basilica of the National Shrine of Mary Help Of Christians at Holy Hill in Wisconsin. 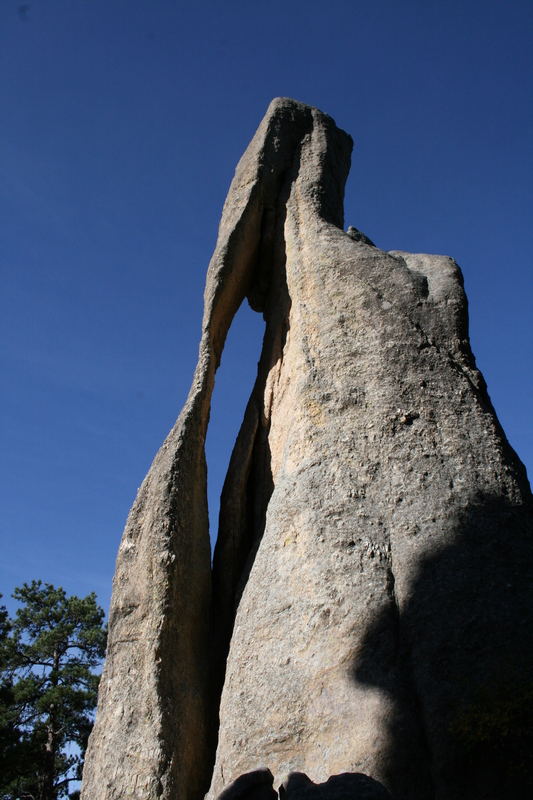 One of the stone ‘needles’, part of a natural rock formation that can be seen along Needles Highway which runs through Custer State Park in South Dakota. 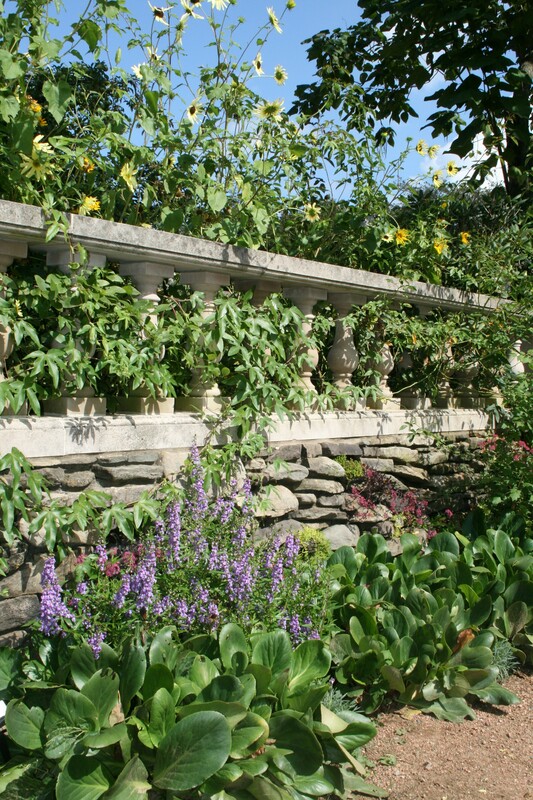 Flowers by a stone wall in the English Walled Garden, part of the Chicago Botanic Garden. 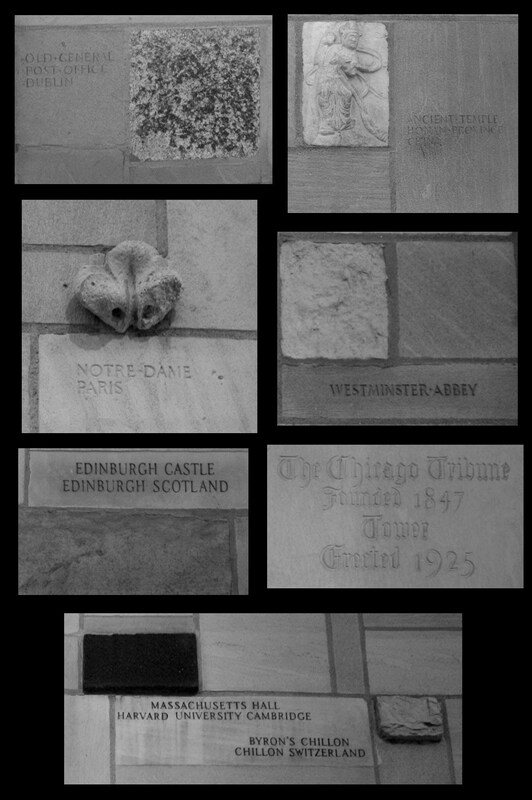 Set in the stone façade of The Tribune Tower in Chicago are several pieces from historical sites around the world.